Known for hosting such Pakistani television programs as Diyoo and Sanam Small Room. She has also had a career as an actress, starring in a Hum TV drama series called Kankar and appearing in several music videos. After attending Karachi University, she began her career as a host with KTN. 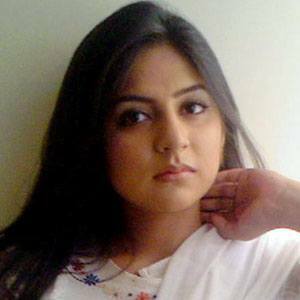 She appeared in a 2010 music video for singer and songwriter Amanat Ali's song "Thumri." She married fellow television host Abdullah Farhatullah in 2013; they both have anchored shows on the Pakistani Samaa TV network. Her step-sister is actress Sabreen Hisbani. She shared the screen with fellow Pakistani actor Fawad Khan in the acclaimed drama series Dastaan.